The Superdraw draw date has been announced, and it’s estimated to be a 108 million jackpot! Right here, you’ll learn all you need to know as well as tips for playing in the upcoming EuroMillions Superdraw. What is a EuroMillions Superdraw? The Superdraw is a special event that takes place 2 or 3 times a year, which usually comes along with a colossal guaranteed jackpot, usually over the 100 million mark. It is not scheduled for specific dates, but instead announced a few weeks before, sort of like an unexpected Christmas! How Many Times Can The EuroMillions Superdraw Rollover? The jackpot will continue to rollover until a player matches all numbers, or until it reaches the EuroMillions Jackpot Cap, which is roughly set at 167 million. The next Superdraw will be taking place on Friday 12th February 2019, offering a significant 131 million jackpot. The EuroMillions Draw occurs every Tuesday and Friday with the draw ending at 7:30 pm. All tickets purchased after this time will be entered into the next draw. 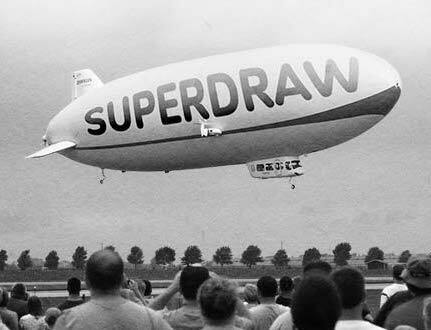 How High Did The Superdraw Get to In 2018? In 2018 there were two Superdraws, one taking place in April, and the other in September. 20th April 2018 - The first EuroMillions winner in 2018 was a UK player who managed to scoop a massive 121 million jackpot. The draw was rolled over before being won in the following draw. 21st September 2018 - The jackpot started at 115 million which rolled over 3 times before it was won by a player from Switzerland, racking up 144 million. This may be an obvious tip, but a way to increase your odds of winning is by covering more numbers. So essentially, the more numbers you pick the greater the chances of matching the winning numbers. However, the downside of this is the greater the numbers you pick the more the expense. Now with jackpots as huge as 100 million plus, there may well be a queue to getting your lottery lines! An instant tip would be to play online, save your time and play at the comfort of your own home. In fact, check out our recent post on How To Get The Most Out Of Lotto Social, where we cover all the benefits of joining Lotto Social. Yes, play in a Lottery Syndicate! Playing in one will instantly increase your chances for this up and coming Lottery Superdraw. A Lottery Syndicate is a group that comes together to purchase lottery lines collectively and share any winnings that may occur. Now, at Lotto Social we automatically place you in a lottery syndicate of up to 49 players - ultimately increase your chances of winning. Picture this, the EuroMillions Superdraw is at a massive 150 million, and you as well as your 9 friends are in a syndicate, buying 10 lines each. Representing 100 lines in all, with each member being entitled to a 10% share. You and your friends have won the EuroMillions Superdraw! Congratulations! This would mean that each member will be given 15 million each, a 10% share from the 150 million jackpot. If you had bought 10 lines without playing in a lottery syndicate, then the chances of winning the EuroMillions Superdraw would have been slashed by 90%. To get your very own syndicate going, download a Lottery Syndicate Agreement Form to keep track of all the players within your syndicate. If you can’t find anyone to play in a lottery syndicate with, then you can always play with Lotto Social. We automatically place you in a syndicate of up to 49 players, ultimately increasing your chances of winning the jackpot! Now that we have shared all you need to know about the up and coming Superdraw, all you need to do now is to secure your place with this Lotto Social Membership. Choose an option below to get started.